Top scorers fade away too! Chronicle 120. Sorting the Bordeaux 2011 - What will not make its way to your glass. La Mauriane 2004, wonderful outsider, leaps forward and takes the lead over Pavie Macquin and Troplong Mondot 2004! La Mauriane 2004, wonderful outsider, leaps forward and takes the lead over Pavie Macquin and Troplong Mondot 2004! Chronicle 119. Red Bordeaux 2011 –“Sorting” is the word! Should cork makers be named? Beware of in-between vintages from estates up for sale! Red Bordeaux 2011 –“Sorting” is the word! Should cork makers be named? Beware of in-between vintages from estates up for sale! Chronicle 118. Le Guide Quarin des Vins de Bordeaux is here! Le Guide Quarin des Vins de Bordeaux is here! Chronicle n° 117. A new outsider : Le Château D’Angludet in Margaux. Ducru Beaucaillou 2008 ??? Chonicle 116. Can recognizing a vibrant expression of fruit be taught? 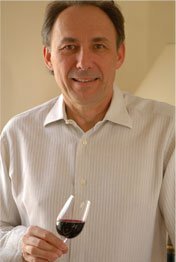 Tasting young Bordeaux – difficulties and pitfalls. Can recognizing a vibrant expression of fruit be taught? Vinexpo 2011: a sample of the new trends. Chronicle 113. How are the 2003 and 2004 Pauillac evolving? What to pay for the new Bordeaux vintage? How are the 2003 and 2004 Pauillac evolving? 2010 - What to expect?